Two photographs showing the same view: the top from about 1939, the bottom from 1928. 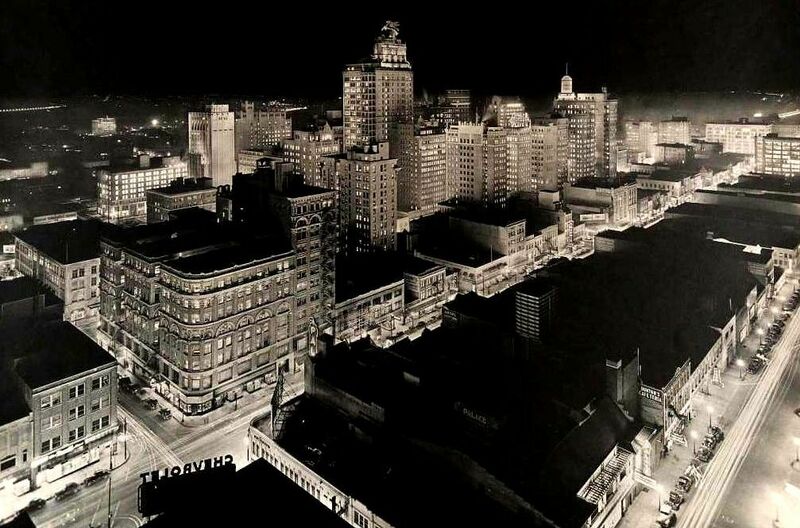 This city has always been a show-stopper at night, but Dallas went from looking like a typical big, prosperous city to a glamorous and elegant, fantastically illuminated metropolis in the span of only ten years. 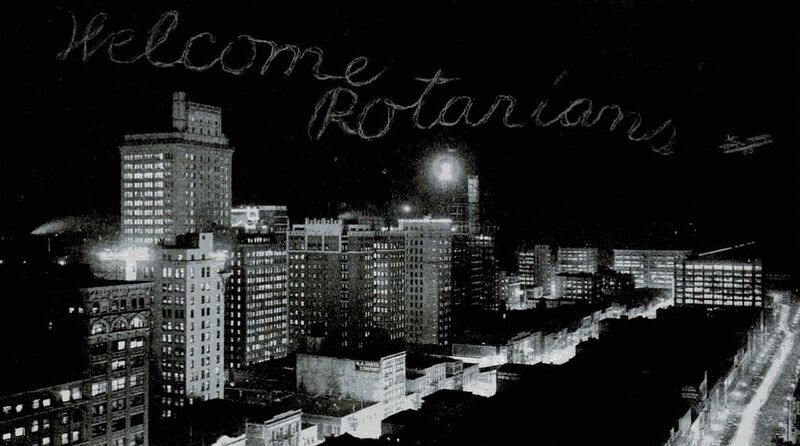 The 1930s was a good time to be an architect in Dallas. Top photo by Lloyd M. Long, from the Edwin J. Foscue Map Library, Central University Libraries, Southern Methodist University; it is accessible here. To see this photo with major buildings identified, the labeled version is here. The view is from the Medical Arts Building. Elm and Ervay is the intersection at the lower left, and Pacific runs along the right.